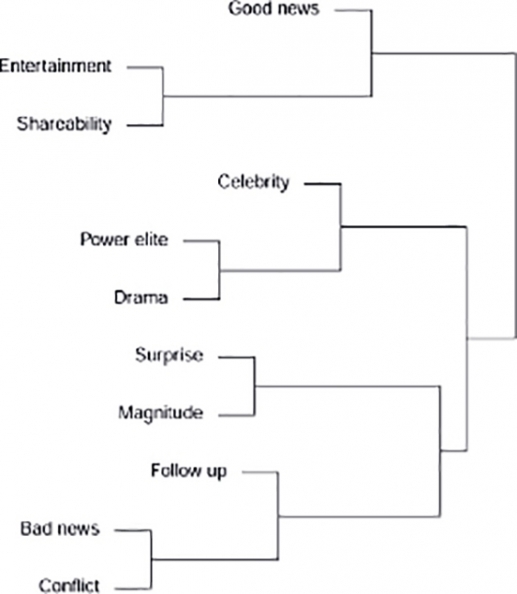 DI BUONO, Maria Pia ; ŠNAJDER, Jan. Linguistic Features and Newsworthiness: An Analysis of News style In:: Proceedings of the Fourth Italian Conference on Computational Linguistics CLiC-it 2017: 11-12 December 2017, Rome [Online]. Torino: Accademia University Press, 2017 (Erstellungsdatum: 21 avril 2019). Online verfügbar: <http://books.openedition.org/aaccademia/2393>. ISBN: 9788899982942. DOI: 10.4000/books.aaccademia.2393. di Buono, Maria Pia, und Jan Šnajder. “Linguistic Features and Newsworthiness: An Analysis of News style”. Basili, Roberto, et al.. 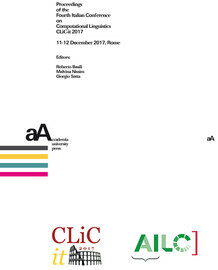 Proceedings of the Fourth Italian Conference on Computational Linguistics CLiC-it 2017: 11-12 December 2017, Rome. Torino: Accademia University Press, 2017. (pp. 136-140) Web. <http://books.openedition.org/aaccademia/2393>. BASILI, Roberto (Hrsg.) ; NISSIM, Malvina (Hrsg.) ; und SATTA, Giorgio (Hrsg.). Proceedings of the Fourth Italian Conference on Computational Linguistics CLiC-it 2017: 11-12 December 2017, Rome. Neuauflage [Online]. Torino: Accademia University Press, 2017 (Erstellungsdatum: 21 avril 2019). Online verfügbar: <http://books.openedition.org/aaccademia/2314>. ISBN: 9788899982942. DOI: 10.4000/books.aaccademia.2314.